Spiritual Warfare: Fighting the Spiritual Battle and Winning! Spiritual warfare is a term given to any kind of interaction between good and evil. Some might call it the battle of light and darkness, or angels versus demons. It's a spiritual battle that's going on all the time, all around us, wherever the presence of God-goodness is coming into contact with anything less than God. Good and evil cannot co-exist. God is everywhere on earth, and evil is, sadly, nearly everywhere in varying degrees. The dark forces pull out all the stops to trick us out of our good intentions, and it is only by our soul's determination to succeed and by the grace of God's assistance that we can get back on track. Without your spiritual armor on tight (the light of God sealed around you), it's easy to fall prey to a spiritual attack. These so-called attacks don't have to be very in-your-face. In fact they work better when they aren't obvious, because you're less likely to do anything about it. Cunning and subtle methods cause us to accept an intrusion into our world as 'the way things are' or 'just part of our personality'. It's important to recognize when we need to call to God to take care of that negative energy. Praying for discernment is key, as well as just simply practicing. Spiritual warfare is really one of the greatest blessings we have. We don't have to wallow in the darkness, we can call for spiritual protection from the forces of light and they will fight back and raise us out of whatever negative state of mind or being we are in. Archangel Michael is there for us. He will assemble his spiritual armor safely around us when we ask for it. There are seven different colored light rays that outpicture the qualities of God, and Archangel Michael serves as head of the angels on the blue ray of God's protection. Spiritual Warfare Prayers are an essential component of spiritual warfare. 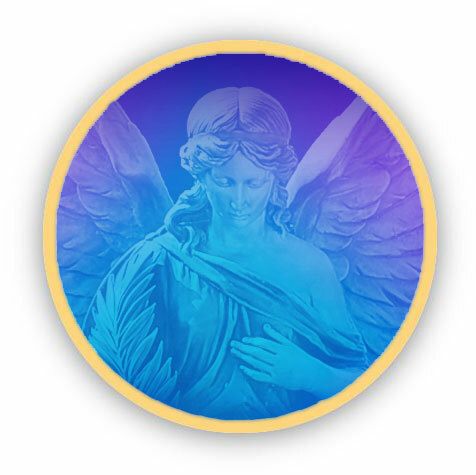 Through decrees, prayers and mantras, we can call to Archangel Michael and other powerful beings to stand guard and protect us from any and all plots of darkness directed against us. A simple, easy-to-remember call you can make to him is "Archangel Michael, help me, help me, help me!" You can say this whenever you feel like you're on the receiving end of a spiritual attack. Spiritual Warfare Books explain the many plots and strategies of evil that permit it to wheedle its way into our being and world. Just as important, they show us what we can do to not get 'taken in' by these subtle tricks that are designed to take us as far away as possible from our spiritual path and, ultimately, our soul's victory in the ascension.